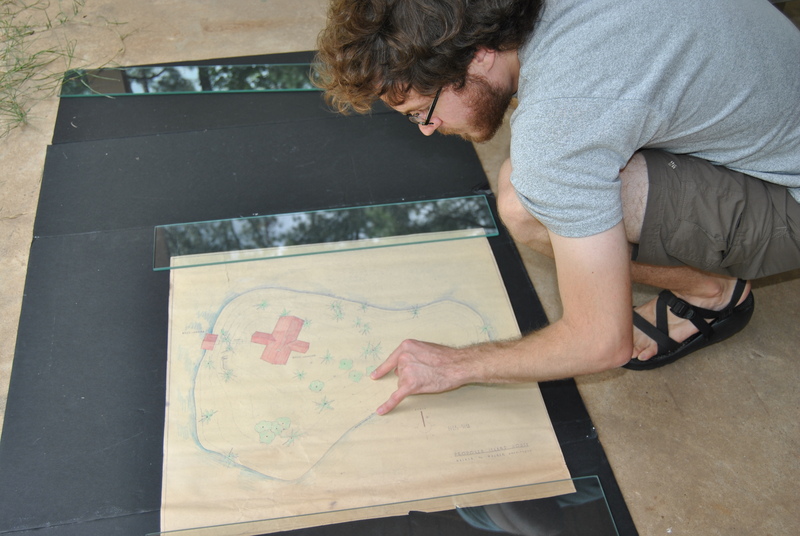 As mentioned earlier, Hodges Gardens holds opportunity for much future research–in architecture, landscape architecture, horticulture, 1950s/1960s tourism, adaptive reuse of architecture/landscapes, archival and collections planning/management, sustainable site development/management, Louisiana history, and other areas. The potential for these opportunities has further come to light with me upon some recent archival discoveries. In addition to an impressive scrapbook collection of newspaper articles and on-site photos, several other items have been preserved by the Hodges Foundation. Below are some outstanding House Island discoveries. Studying site layout plan for House Island. The contour lines note that the elevation at the top of House Island sits a little more than 27 feet above the water's edge. 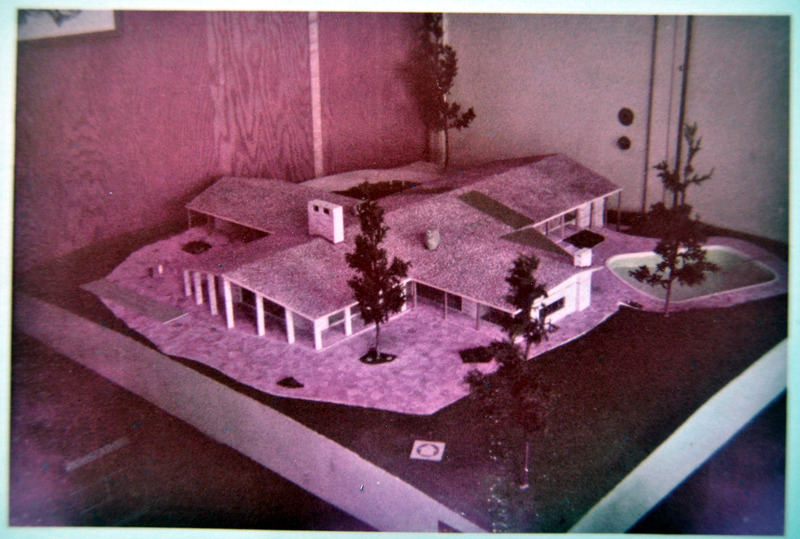 Architectural model, Hodges residence. This is our photograph of an image capturing this model. Construction of the residence was completed in 1956; the pool was not implemented. Credit: Hodges Foundation. Hodges Residence, downstairs floor plan, Walker & Walker Architects. Note four primary wings with a plan view of the tunnel bending out of the western wing. Credit: Hodges Foundation. Hodges Residence, downstairs floor plan, tunnel area detail, Walker & Walker Architects. Credit: Hodges Foundation. Connecting Tunnel, House Island. Looking west, toward boat landing. 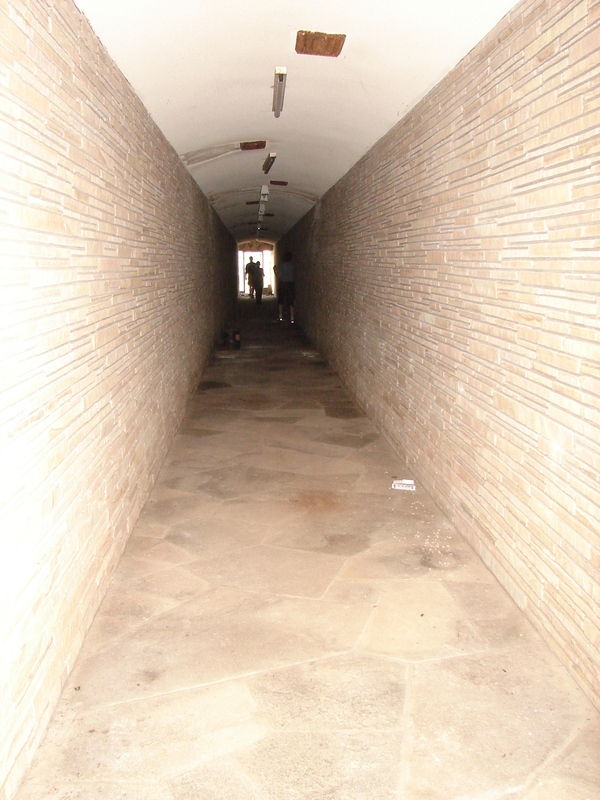 This stonework-constructed gently sloping tunnel connecting the House Island boat landing with the bottom level of the Hodges residence. 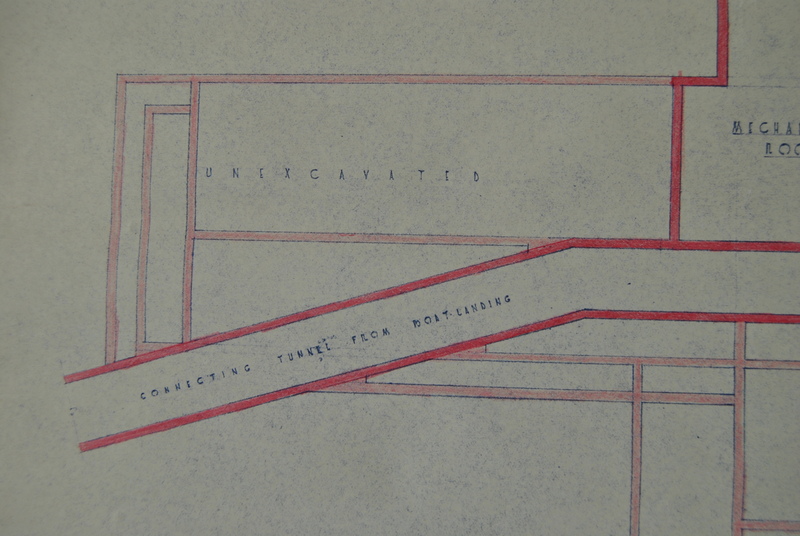 The proposed master plan in the above image shows the tunnel in plan view. 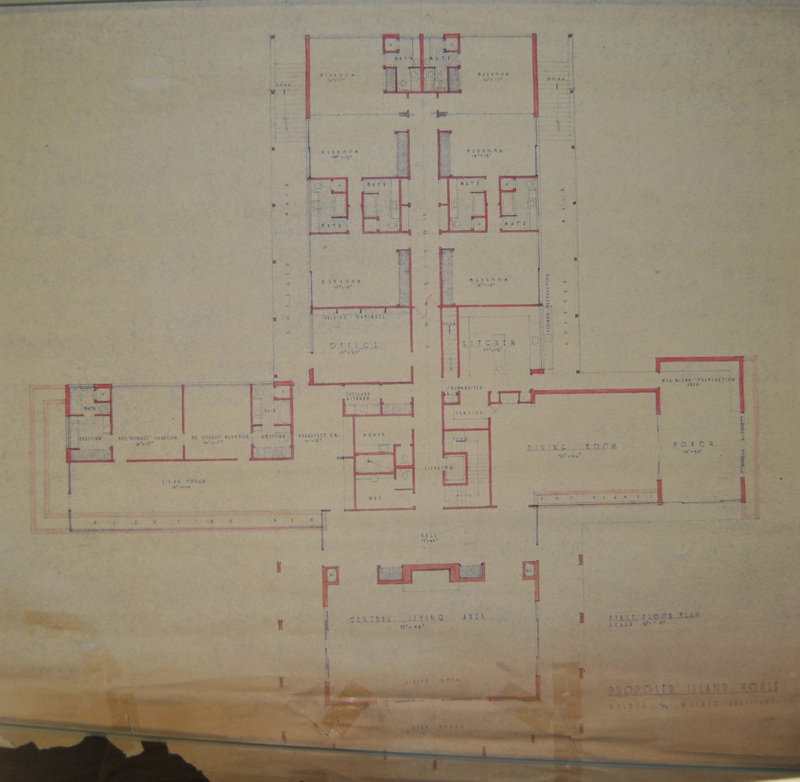 Hodges Residence, upstairs floor plan, Walker & Walker Architects. The central living area occupies the south wing, master suites occupy the west wing, and the dining room and porch/porch kitchen occupy the east wing. Restrooms are located near the intersection of the four wings while additional bedrooms/baths occupy the north wing. Hodges Foundation. Central living area, Hodges residence. 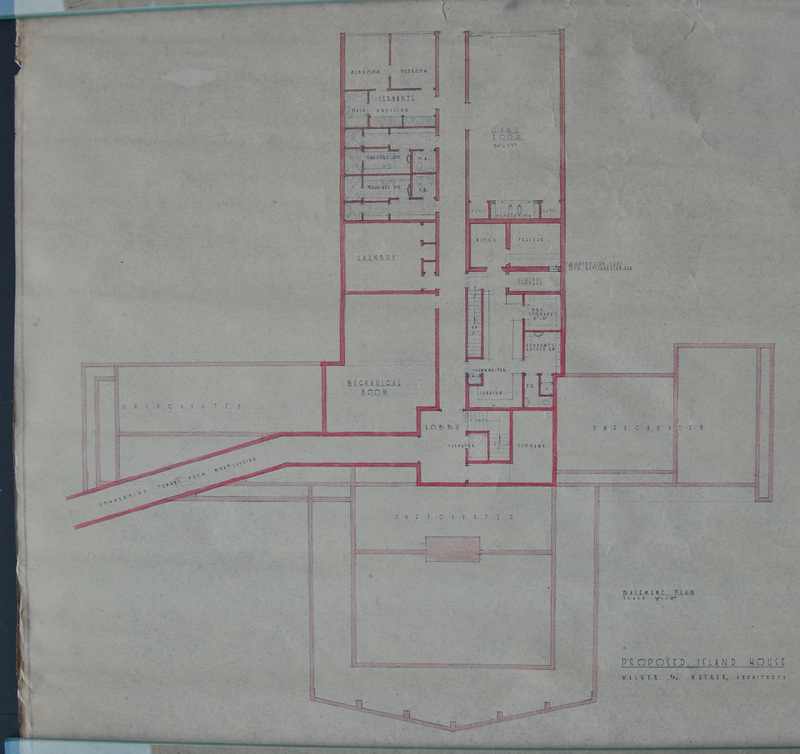 As noted in the floor plan above, the central living area occupies the majority of the south wing of the residence. Photo credit: Jennifer Mui. 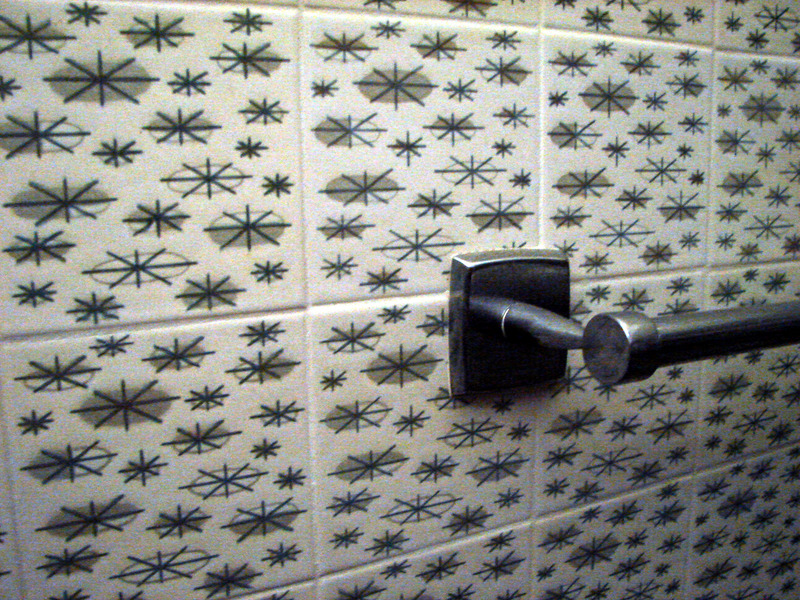 Tiled bathroom wall, Hodges Residence. 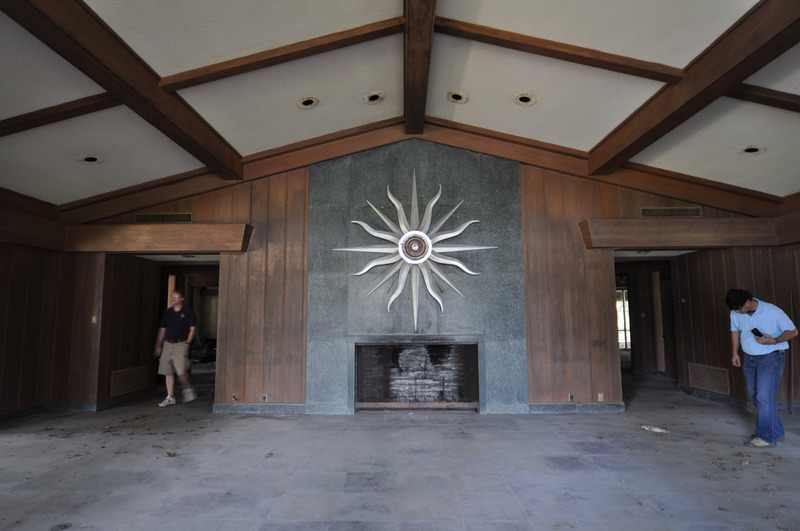 The good overall condition and craftsmanship visible at the residence today is proof of the quality of construction of this building in the 1950s.